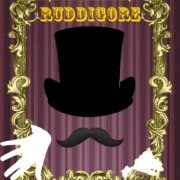 Now Recruiting Ushers for Ruddigore, April 17 – May 2! You have been invited by Morpheus Theatre to sign up for “Ushers – Ruddigore.” Please click on the link below to view the online sign up sheet. Written just after The Mikado, this comic operetta from Gilbert and Sullivan brings more spectres and spooky, musical fun to wrap up our 20th season. As only they can, Gilbert and Sullivan parody melodrama while at the same time employing some of its classic elements – a poor and virtuous heroine, a villain who steals her away, heros and faithful friends. And we mustn’t forget the ghosts who live in the family portraits. Hidden identities, courtship gone awry and a good old fashioned family curse showcase such songs as “In sailing o’er life’s ocean wide”, “When I’m a bad Bart, I will tell taradiddles” and “When a man has been a naughty baronet”. So don’t risk being moody and sad, make sure you have your tickets to Morpheus Theatre’s 20th season Gilbert and Sullivan operetta. Volunteering to help at the theatre is a great way to see this production. So, please consider volunteering for one or more performances, or volunteer with a friend or family member! We need 2 ushers, 2 ticket takers and 1 will call volunteer for each performance- The ushers welcome patrons, hand out programs, take tickets and ensure everyone is properly seated, including late-comers. At the intermissions, all volunteers sell 50/50 tickets, then ensure patrons return to their seats in a timely manner. Immediately following the show, ushers clear the theatre of programs and any debris. Matinee performances begin at 2:00pm and evening performances begin at 7:30pm. Volunteers need to be on duty at least 45 minutes before the performance time. Tickets are now on sale! Encourage your friends and relatives to book their tickets now to avoid disappointment. Visit www.morpheustheatre.ca and follow the links, or call 403-246-2999. If you are interested in volunteering, please click on this link www.signupgenius.com/go/10C0948ACAC2EA0F58-ushers5 If you are having difficulty, please email tickets@morpheustheatre.ca or call 403-246-2999. Your help is always appreciated! Thanks very much – and we look forward to hearing from you about volunteering!